SIMP Enterprise Edition is a licensed commercial edition of SIMP designed for commercial or government users that need wider platform support and want out of the box compliance options. 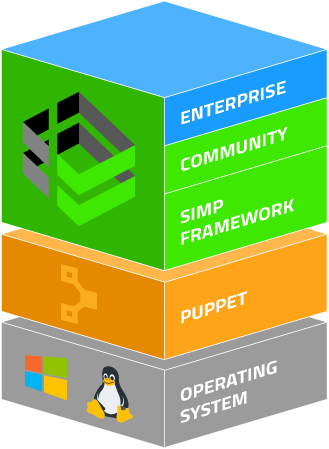 SimpEE contains everything that exists within SimpCE, as well as the SIMP Console, more extensive premium built-in enterprise profiles, and new Windows support features. We offer a 100% FREE, full-featured SIMP Enterprise trial that you can run on up to 10 nodes for 60 days. Just complete the form!